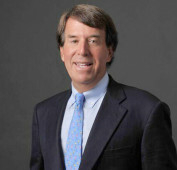 Bruce A. Percelay is chairman and founder of The Mount Vernon Company, a real estate investment firm considered among the leading apartment landlords in Massachusetts. The company has grown over the past 30 years to include approximately 1,600 apartments, 5 hotels, as well as select commercial and vacation properties. The company received the Community Excellence Award from the Rental Housing Association of the Greater Boston Real Estate Board, the Paragon Award for Industry excellence by the National Apartment Association, Best Landlord in Boston by Boston Magazine and Best Places to Work in Boston by the Boston Business Journal. Percelay created the Allston Green District, an eleven building assemblage which was the largest new construction project in Allston in over half a century. The three centerpiece buildings in the Green District set a new standard for environmentally sensitive living and have won over nine awards for their forward- thinking sustainable design. Percelay began his career in advertising and helped manage the marketing efforts for Parker Brother's Games, Keds Sneakers, and Converse Athletic Shoes. He is also credited with the development of the idea for Sunkist Orange Soda, the most successful new soft drink launch in the history of the industry. Combining his marketing savvy with his real estate experience, Percelay next authored the top selling business book, Packaging Your Home for Profit, published by Little Brown and Company. The success of the book prompted appearances on CNN, Good Morning America and over 50 newspapers and magazines around the country. Percelay pioneered the concept of marketing and staging homes for sale and has used the theories in his book to build The Mount Vernon Company to where it is today. Percelay has recently created a boutique hotel division of The Mount Vernon Company including 21 Broad, rated by Conde Nast as the top new boutique hotel in the world. The hotels are strategically located in resort communities including: Nantucket, Newport, Portsmouth, New Hampshire and Camden, Maine as well as a 200- room hotel in Boston. Extremely active in support of the communities in which he lives, Percelay was the driving force behind the construction of Nantucket's new whaling museum, the most significant new building on the island in the last 100 years and is chairman of the $120 million capital campaign for the new Nantucket hospital. He is also a Presidents Council Board Member of Massachusetts General Hospital. Percelay was the chairman of the Massachusetts chapter of the Make-A-Wish Foundation, helping it to become the most successful in the country, and chairman of Habitat for Humanity in Boston where he launched the largest urban project ever built in America during his tenure. In recognition of his significant service to his community, Percelay was the recipient of the Ten Outstanding Leaders award from the Boston Chamber of Commerce, as one of Boston’s top leaders in The Boston Globe’s Leaders of Boston book and received the Outstanding Achievement Award from YouthBuild Boston. Percelay received a special commendation by former Senator John Kerry for his contributions to Boston which appear in the permanent archives of the United States Congressional Record and was recently honored by the Children’s Advocacy Center for his support of children’s issues. Percelay currently serves on the board of the Rappaport Institute at the Kennedy School of Government at Harvard University and is honorary chairman of the Nantucket Cottage Hospital capital campaign. Bruce shares his time between Nantucket and Boston with his wife Elisabeth and two sons William and Charlie. He is an avid boater, tennis player, and is a collector of vintage automobiles.